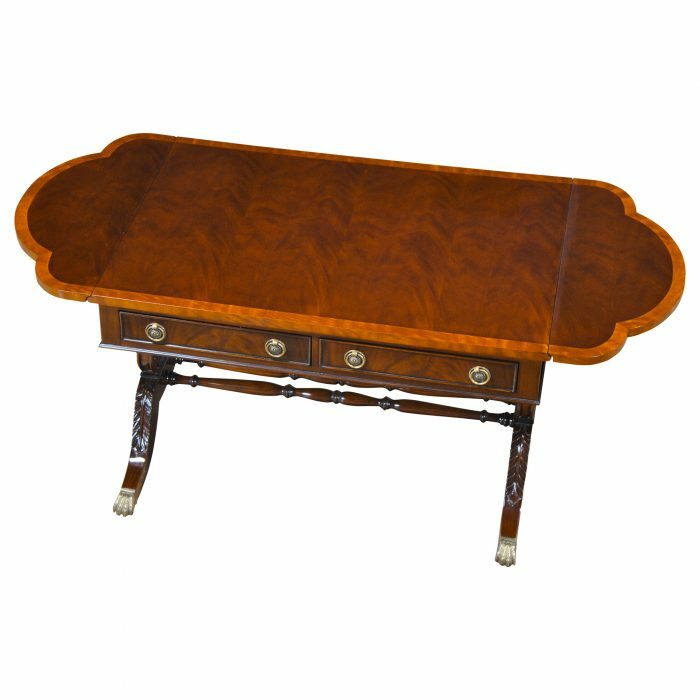 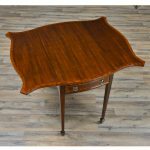 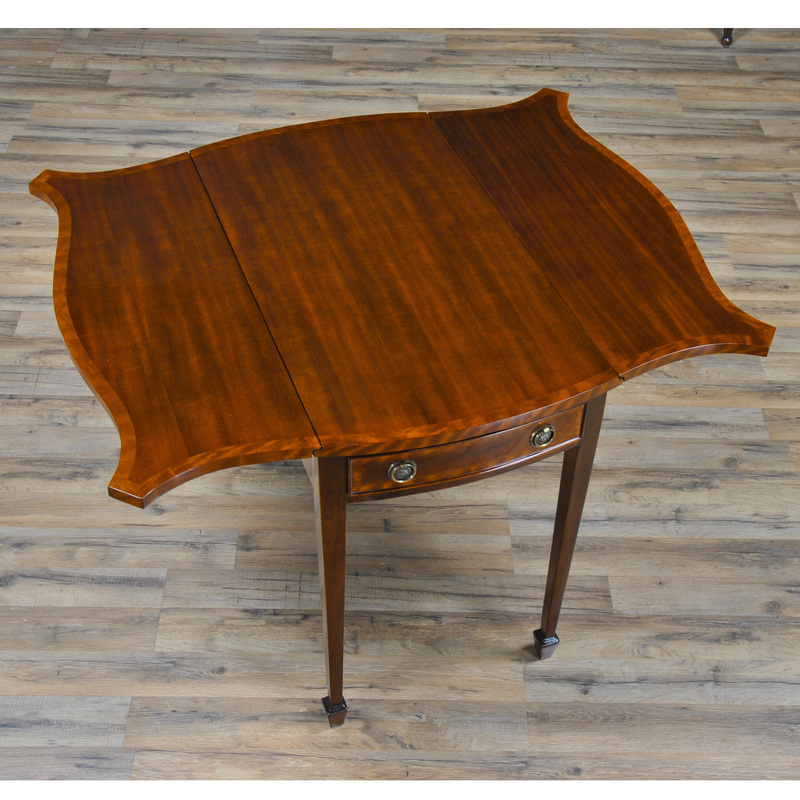 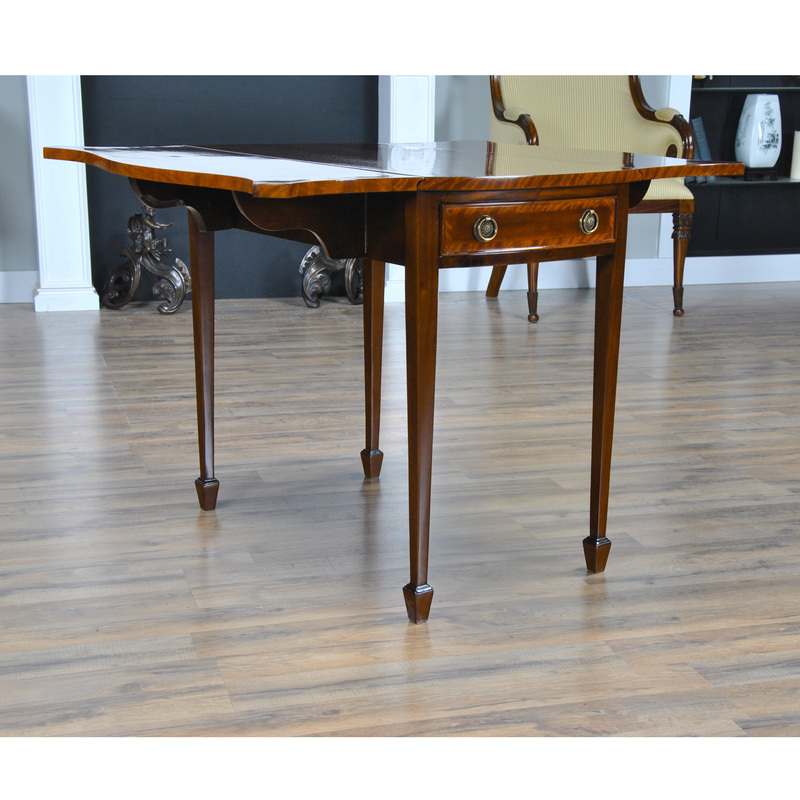 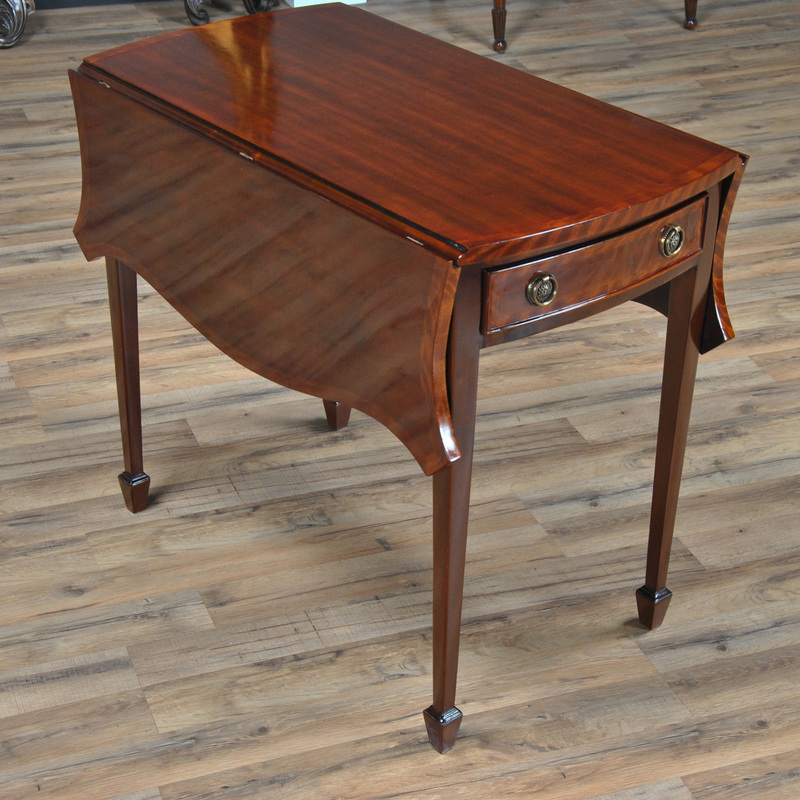 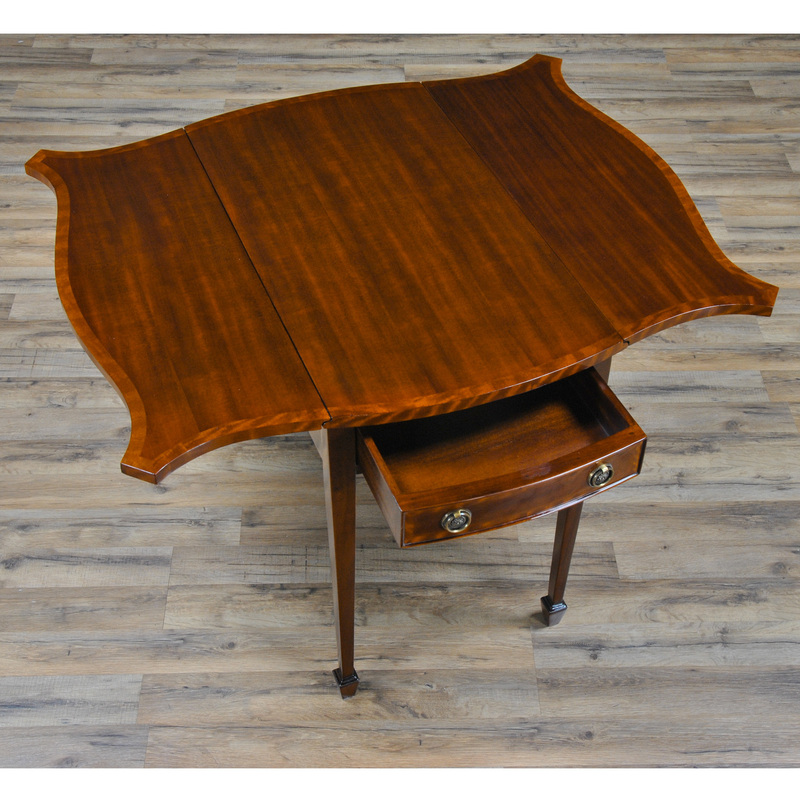 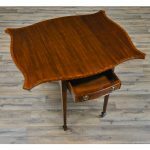 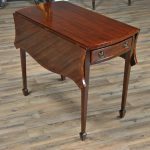 This beautiful Mahogany Pembroke Table from Niagara Furniture will be recognizable to anyone familiar with fine antiques. 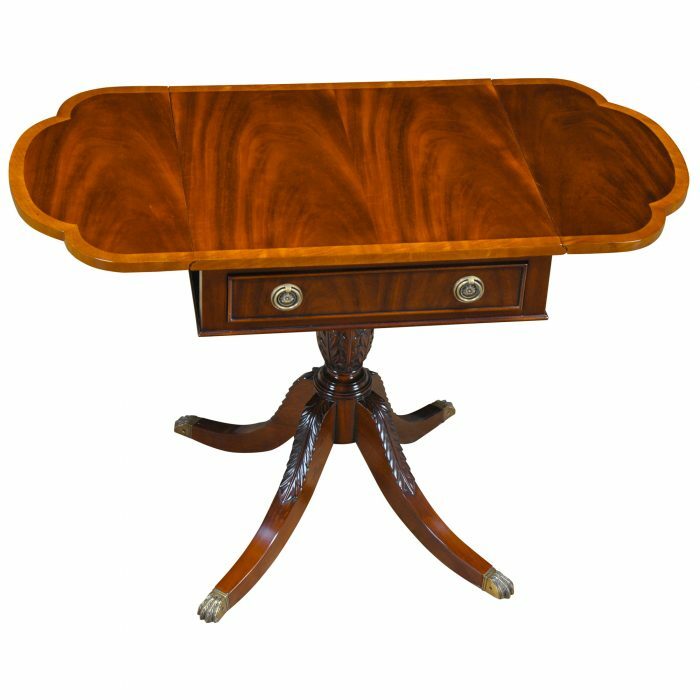 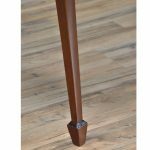 Originally designed by Henry Herbert, 9th Earl of Pembroke, the form was made popular by various furniture designers in 18th century England. 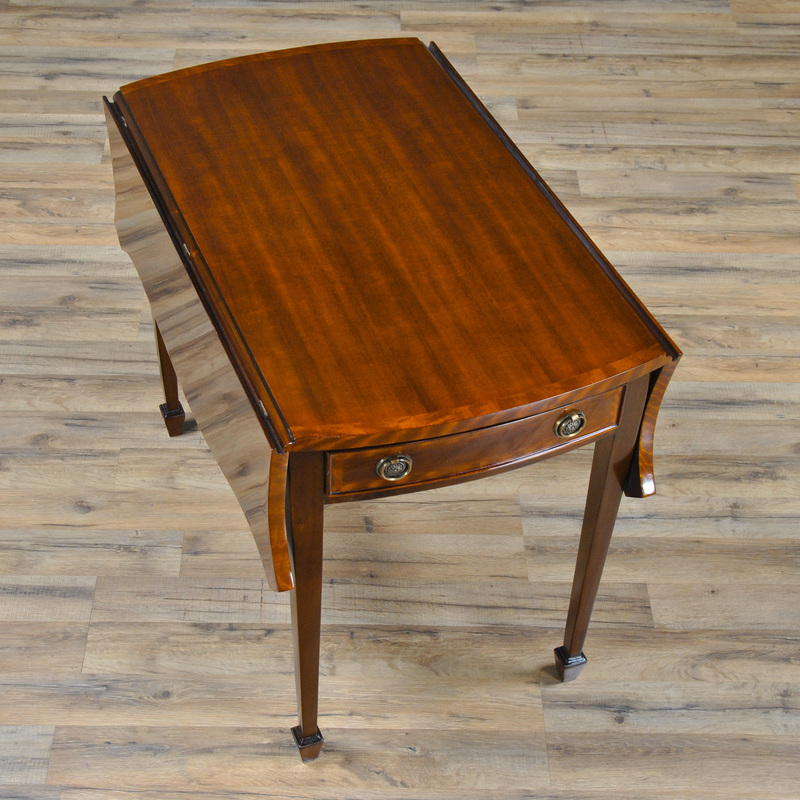 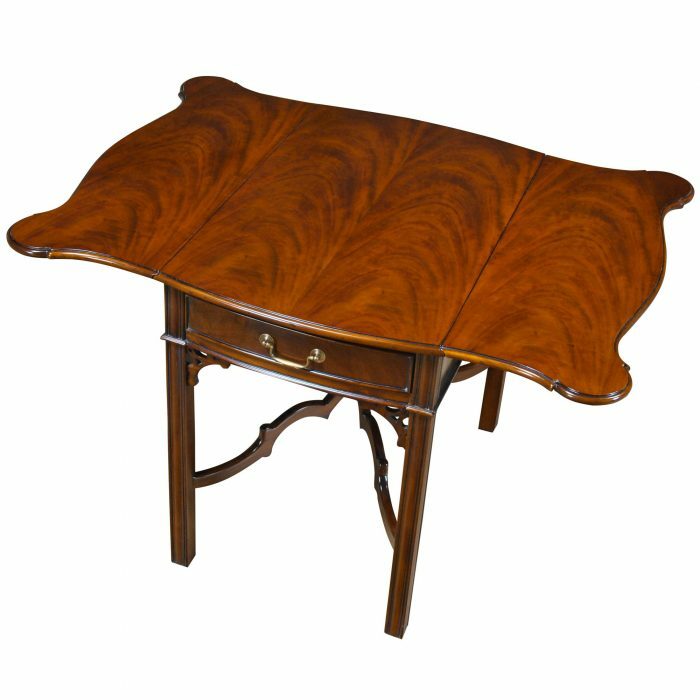 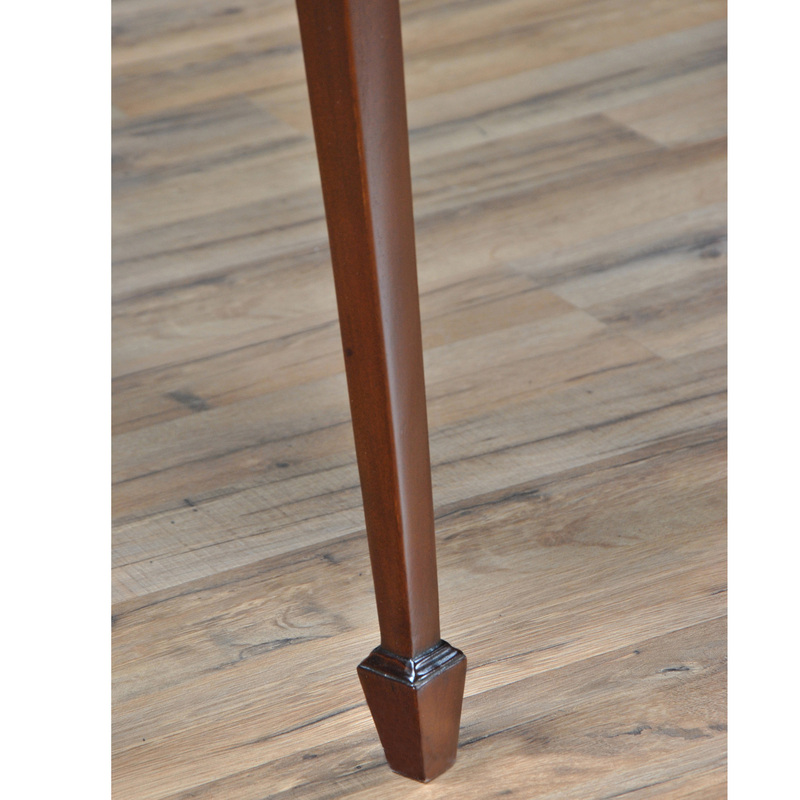 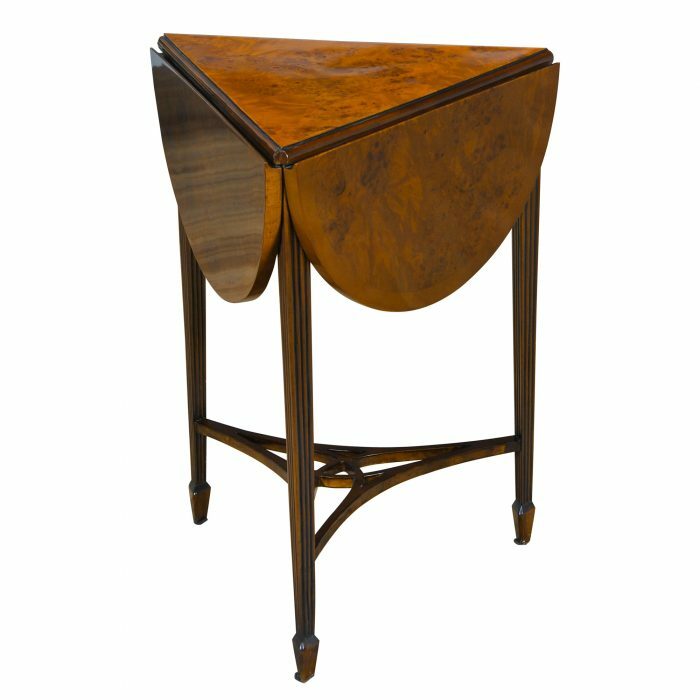 Also often referred to as a dropside table and sometimes called a breakfast table our antique reproduction is beautifully appointed with many great features such as the satin wood banded top and sides, the dovetailed drawer and the tapered and shaped legs. 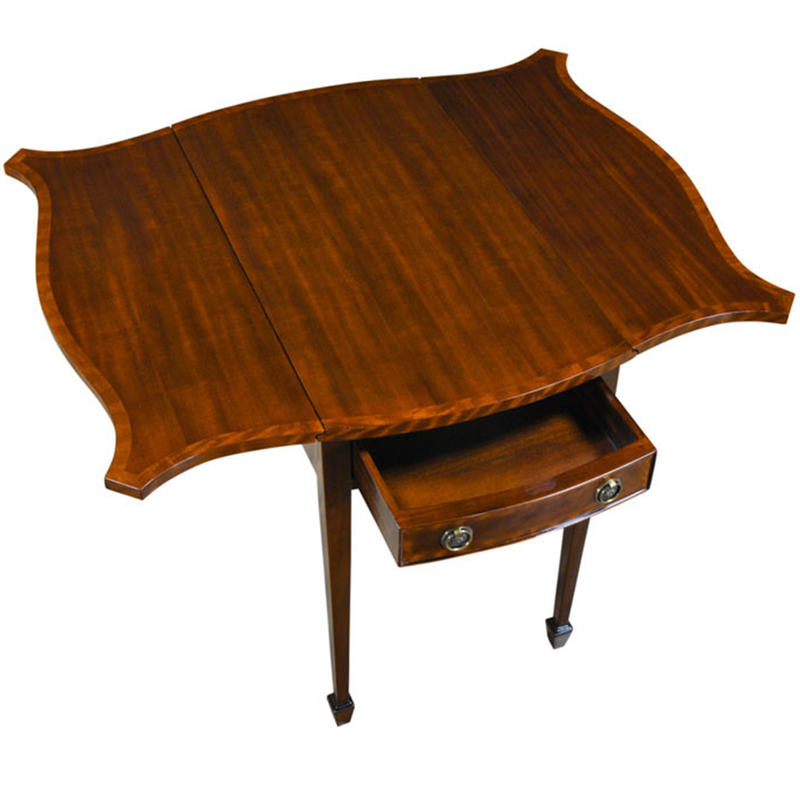 The Pembroke Table is versatile due it’s ability to expand in size as needed and can be used throughout the home.